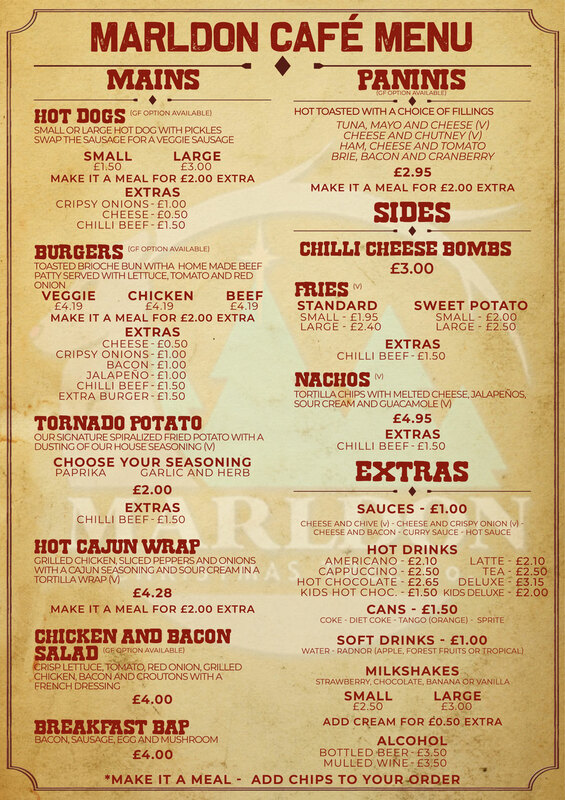 Whilst you're visiting us at Marldon Christmas Trees, why don't you pop in for a cup of your favourite warm beverage and a delicious meal at our cosy log cabin restaurant. Our menu is friendly for all - with vegetarian and gluten-free options available to suit your needs. Our Restaurant opening hours remain the same as the farm's, so pop in and say hello! There's plenty of seating available, but expect weekends to be a little busier (especially in bad conditions). For the most up to date information regarding our restaurant, check this page frequently, as restaurant specific alerts will be displayed at the top of this page.